Leading attorneys in St. Petersburg in bankruptcy asset exemptions. Filing bankruptcy can be a complicated process. Without experienced, knowledgeable advocacy, you could risk waiving certain rights and property. This advocacy is critical when considering certain asset exemptions, including a home, automobile or other personal property. At Carnal & Mansfield, P.A., our St. Petersburg asset exemption attorneys are highly experienced in the bankruptcy process and will take every necessary step to protect your rights, interests and assets. In the state of Florida, you are entitled to $1,000 equity in a motor vehicle, $1,000 of personal property, and if you do not own a home, you may be able to get an additional $4,000 exemption, considered a super exemption. You need an experienced St. Petersburg asset exemptions attorney to review your assets, debts and income to determine which exemptions apply in your situation and what property you will be able to obtain. Our lawyers are highly experienced in Chapter 7 and Chapter 13 and can help you protect your rights, investments and access to exemptions in the process. Our St. Petersburg bankruptcy attorneys are experienced in asset exemptions in the bankruptcy process and will explore all of your state and federal exemption options. Federal guidelines limit the amount of garnishment for head of household. You may also be able to protect your retirement funds, 401(k)s, pensions and other property. Remember that the bankruptcy process is complex and without informed, strategic representation, you could waive your rights or access to property and funds. We can help you protect your interests and financial security into the future. Call 727-381-8181 or contact us by e-mail for an initial consultation with our experienced St. Petersburg asset exemption attorneys handling bankruptcy exemptions. 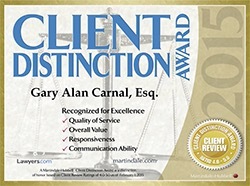 Our firm offers a 20 percent fee discount to AARP members.